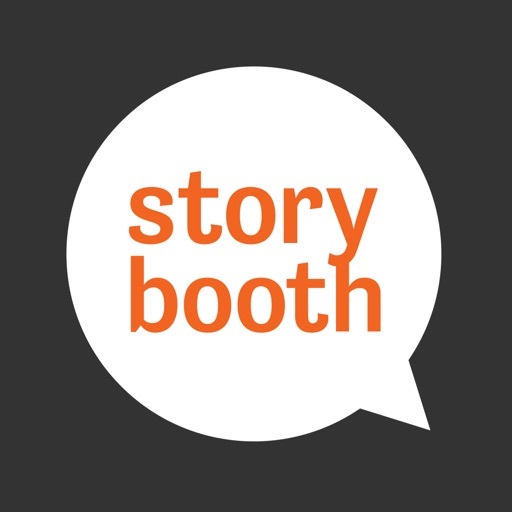 The Storybooth app brings the full Storybooth experience to your mobile device! 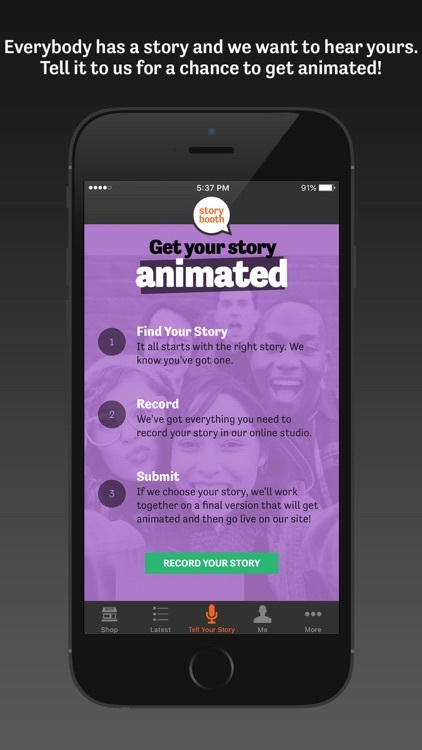 Record and submit your story in our online studio for a chance to get animated. 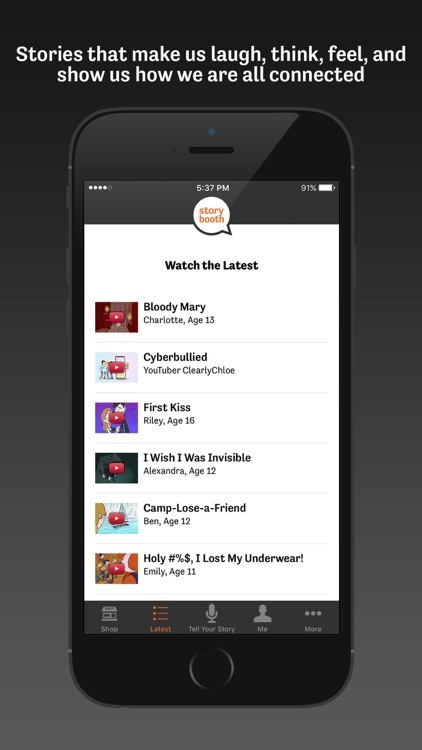 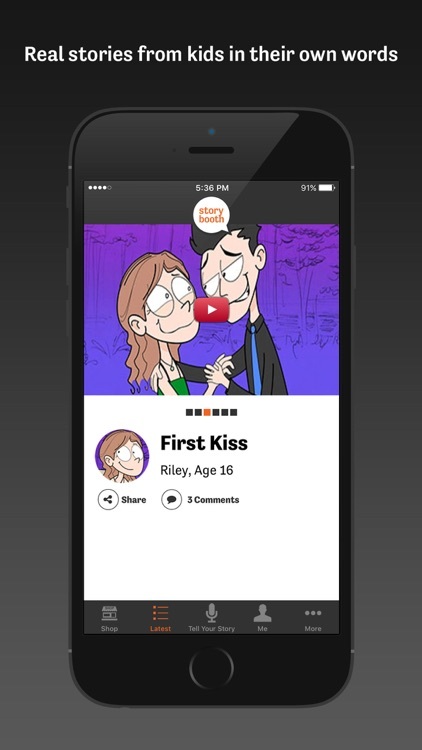 Track your submissions, watch all the latest stories we've animated from popular YouTubers and people just like you. 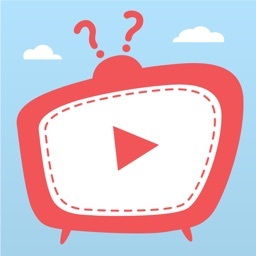 Comment on videos and share your favorites with your friends.